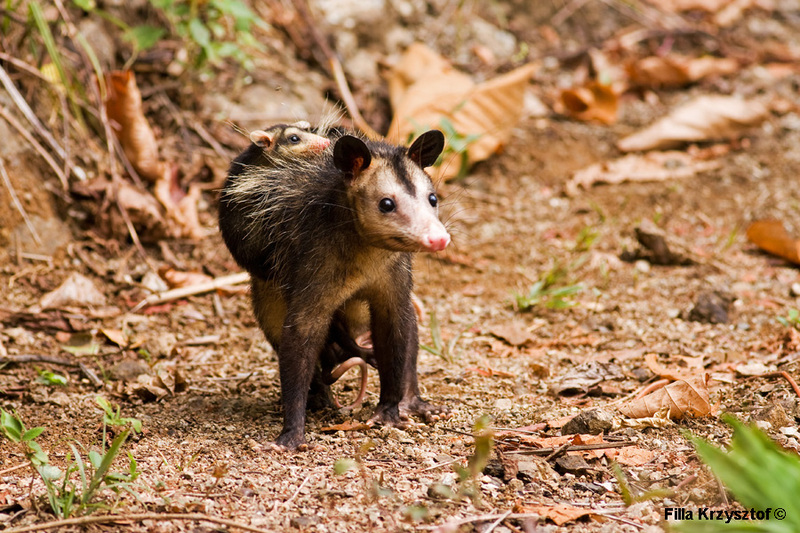 The common opossum (Didelphis marsupialis) is a nocturnal animal and is seldom seen during the day. I suppose the offspring were in jeopardy therefore the mother who raises them decided to move the brood to a saver location. Opossums are marsupials and keep their young in the underneath poach. But after 2 months when they grow up they do not fit there and some of them have to travel on the top of their mother.